The fourth floor rooftop deck houses the Inn’s wood-fired saunas and two outdoor hot tubs. Once the decision was made to build the sauna on the rooftop, there was no reason to reinvent a longstanding Northern European tradition. 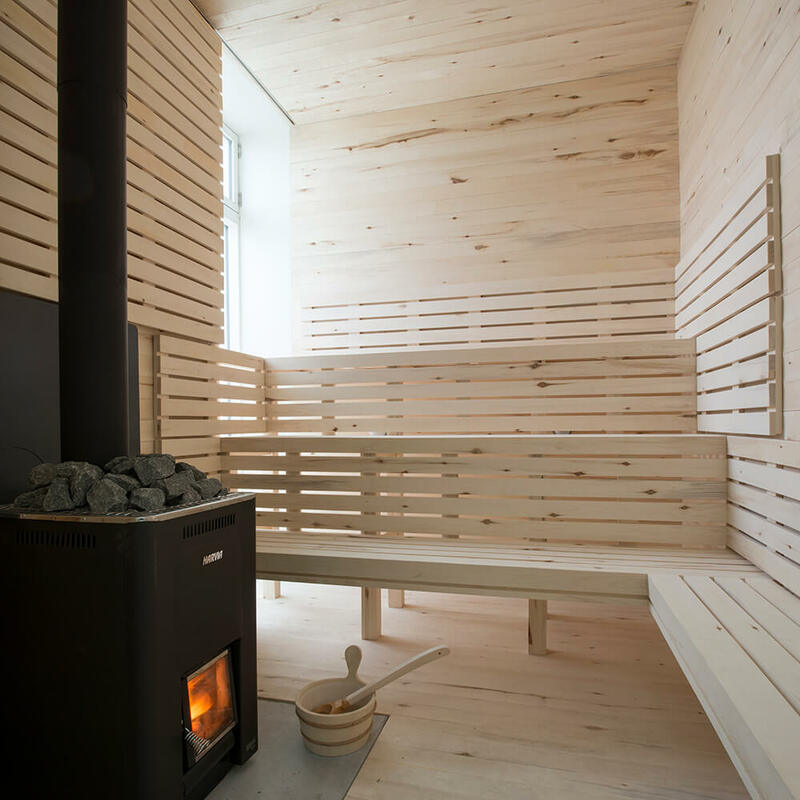 We learned from the best and hired Sami Rintala and Dagur Eggertsson, two Northern European architects based in Norway, to design the saunas. Because sauna culture is new to Fogo Island, the design needed to feel intuitive. We outlined the experience as a set of easy steps. Step one: you walk in, change into your swim attire and put on a robe. Step two: take a shower. Step three: take a sauna. Step four: cool off and maybe head outside to the hot tubs to watch the sea and stars. The south-facing saunas receive direct sunlight into the cabinet with inland views of the rocks and churches. The sauna to the north has views of the sea and is a great way to take in the landscape or to stargaze. 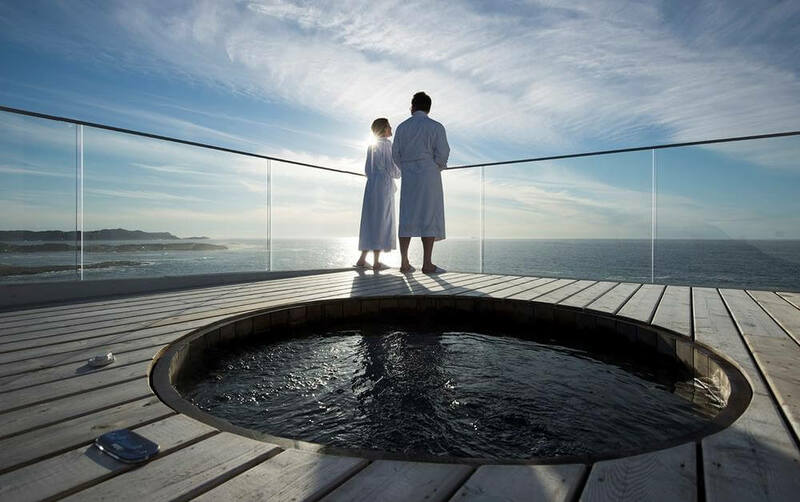 Located at the end of the roof deck, the Inn’s two hot tubs afford both privacy and stunning views of the North Atlantic. 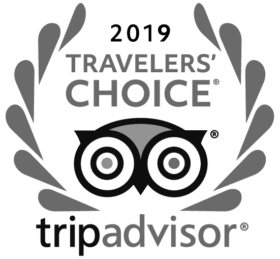 Stargaze with uninterrupted views of the ocean over your shoulder and of the sky above you. The Inn’s second floor gym includes treadmills, elliptical machines, and weight-training equipment. The gym also features floor space for yoga and pilates, fitness mats, and two walls of floor-to-ceiling windows overlooking the coastline and, in the distance, the community of Barr’d Islands.